Vibrant broccoli, toasted sunflower seeds, crisp apples and fresh parsley are tossed with sweet and tangy honey mustard dressing for a delicious broccoli salad you’ll make year round! It is so easy to eat healthy in the spring and summer, isn’t it? Whether you belong to a CSA, visit your local Farmer’s Market or even just peruse the produce section in your grocery store – vegetables and fruit are in abundance. Sometimes it can be a challenge not falling into the same way of making the vegetables over and over again. Of course broccoli is so readily available year round, so it’s even trickier to come up with a new way to prepare broccoli. My go to recipe for broccoli is just simply roasted. 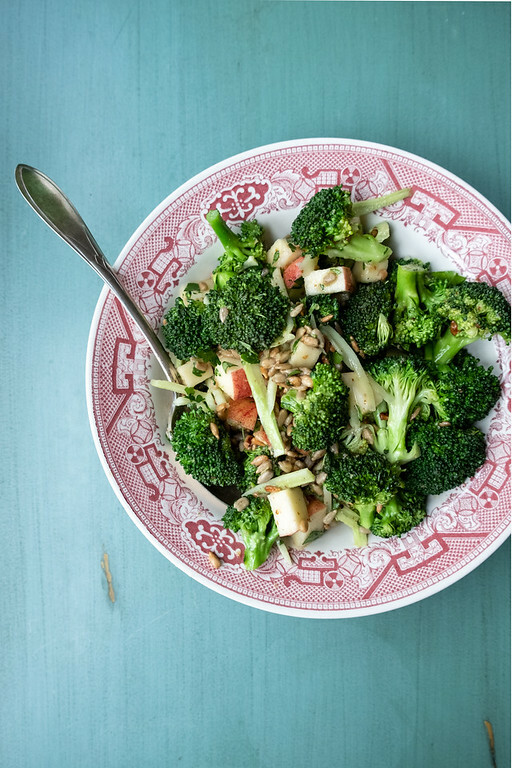 Broccoli is also a hearty contributor to a grain salad. This time I was in the mood for a light broccoli salad. Nothing to busy, something that really let the broccoli shine. Let’s talk about how to make this easy broccoli salad. I found this recipe in the first Sprouted Kitchen Cookbook. What I liked about it was the use of the broccoli stems for added crunch and the addition of apples and sunflower seeds. A simple honey mustard vinaigrette pulls it all together. 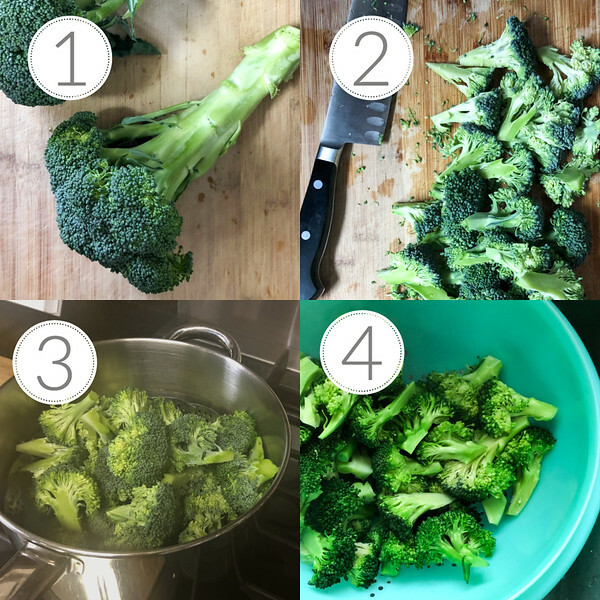 Step 1 – wash your broccoli and cut off leaves. Step 2 – cut the florets into bite size pieces. Step 3 – set up a steamer insert in a pan with about an inch of water on the bottom. Over high heat, bring the water to a boil. When you see the steam, add the broccoli florets and cover with a lid.Steam for about a minute, it will turn a gorgeous bright green. Step 4 – drain and let the broccoli cool, while you prepare the rest of the ingredients. Step 5 – peel stalks and cut them into matchstick size pieces – use a knife or I used a julienne peeler. Step 6 – whisk together the dressing ingredients in a large bowl. Step 7 – if your sunflower seeds aren’t already toasted, put them in a small skillet over medium high heat. Stir them and keep an eye on them as they go from brown to burnt quickly! Step 8 – Combine all the ingredients in the bowl with the dressing and toss. One of the Best Broccoli Salads! This broccoli salad was everything I hoped it would be. The pairing of broccoli, apples and sunflower seeds is classic. The fresh parsley brightens it up and the honey mustard dressing is my new favorite. I love that it takes honey and mustard and makes it into more of a vinaigrette rather than the the usual heavy and creamy treatment that honey mustard dressing get. I paired this with a simple lemon grilled chicken breast. 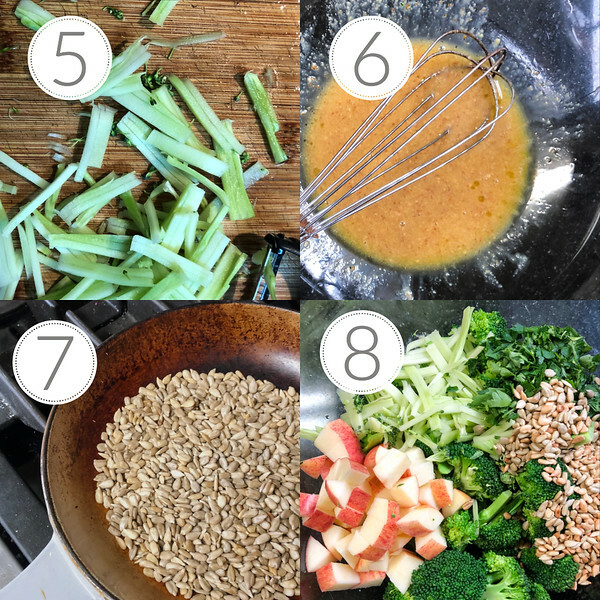 Your going to love this tangy and sweet Honey Mustard Broccoli Salad, the apples and sunflower seeds take it to a whole new level! Cut the broccoli florets into bite size pieces. Heat a little water to boil in a pan with a steamer insert. Steam the broccoli for just about a minute (it will get bright green). Drain and cool. Using a julienne peeler, knife, or mandoline julienne the stems. Place the dressing ingredients in a large bowl and whisk until creamy. Add the broccoli, apple, sunflower seeds and parsley to the bowl. Toss to coat and refrigerate until serving. Serve cold. If your sunflower seeds aren't toasted - simple place them in a small skillet over medium high heat. Stir them and keep and eye on them because they can go from perfectly toasted to burnt, quickly! Update note: This post was originally published in 2015 and has been updated in 2019. Yum!! Sounds delicious!! I still would maybe roast mine first and then add the dressing, I am sure either way it would be fantastic! Thanks for sharing! I tried roasted broccoli for the first time a couple of weeks ago and it’s amazingly good. Definitely going to give this recipe a good work out. the salad looks so healthy and delicious! Hi there! I’m stopping over from Let’s Get Real today. I am sorry to hear about the passing of your mother. I agree that cooking is good therapy. Your recipe looks delicious. Apples and broccoli are an unexpected combination that sound great. This recipe is sure to be a hit at the next potluck I go to. This broccoli salad has some of my favorite flavor combos in it! 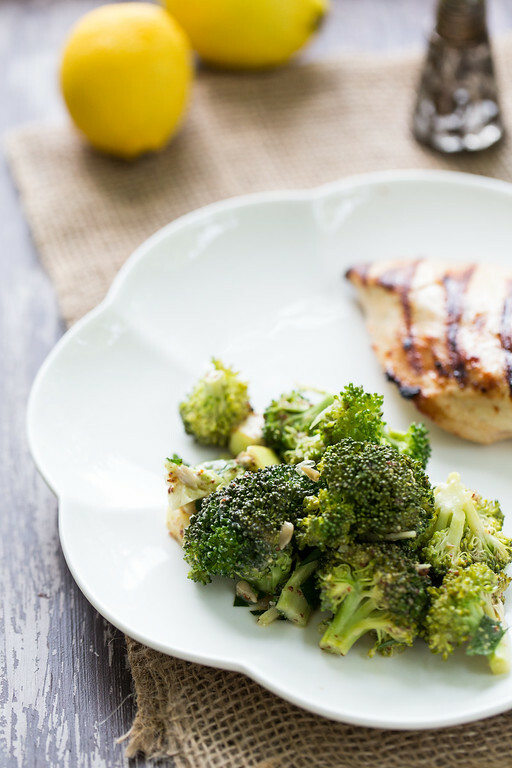 The mustard sauce is one of my favorite ways to eat fresh broccoli. Yum! thanks for sharing your recipe for this amazing salad! Dressings like that are my fav– simple and light. I use mustard and honey in my dressings often. What, no mayo!? This salad looks delicious and I must try it… This weekend! 🙂 great post! This dish is gorgeous. I love everything about it. Roasted Broccoli is one of our fave veggies. This dressing looks like a wonderful addition plus all the other extra goodies. YUM! Broccoli may be my favorite vegetable and I’m a sucker for honey-mustard anything so this sounds particularly amazing! Pinning so I can add this to the regular side rotation at our house – yum! I think that this broccoli salad sounds amazing. I love that you added diced apple to this dish. I am sorry for the passing of your mother, I am sure it is a hard time for you. I find it so hard to make an appealing Broccoli salad recipe for those who don’t like it. Your recipe is so delicious looking. I don’t think anyone can resist eating it. So, so glad to see you are back, and all my sympathies to you in this difficult time. Thanks for this post…broccoli is one of my go-to veggies, and I will be trying this one, for sure. How delicious Pam! Love this flavor combo. The perfect meal anytime. I love that little bit of crunch you added with the sunflower seeds. This sounds delicious. I love roasted broccoli and we eat it so much it would be nice to change it up a bit. Thanks for sharing, will be making this tonight! I’ve somehow fallen off the broccoli bandwagon, but need to hop back on with this salad! I love this broccoli salad. No goopy mayo to contend with. Not sure if my monkey girl will like the honey mustard, but I am sure the hubbie will love it. I am going to try and make it this weekend.